An adjustable base can help relive tension in the small of your back while supporting your spine and opening airways. Support should fit your body, lying flat on your back on a comfortable mattress merely supports your body. What if the foundation contoured to your body as well? 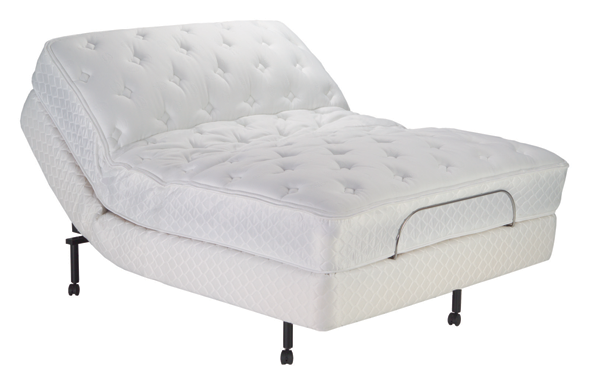 Making even the most comfortable mattress mold and fit to your every contour. The Prodigy LIfestyles Power Base is the premier model in the industry. In addition to whisper quiet DC operation, 4 individual Comfort Position Memory Settings, the Prodigy boasts even wi-fi connectivity making your iPod Touch, or iPhone an additional controller for this premium power sleep system. Dual massage, digital read out, alarm clock with wake to massage, or wake to beep, and multiple programming configurations make the Prodigy the most advanced Power base on the market, all while simplifying operation for the best rest of your life.